Is A Llama Right For You? First things first: can you provide the basics? Llamas are enjoying a new popularity throughout the world, both as work and companion animals. 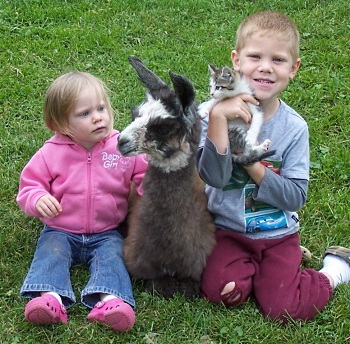 At Leisure Acres Llamas we understand how anyone could fall in love with a llama, but we also understand that llama ownership isn't for everyone. Before you make a decision on whether llama ownership is right for you, consider the following factors. 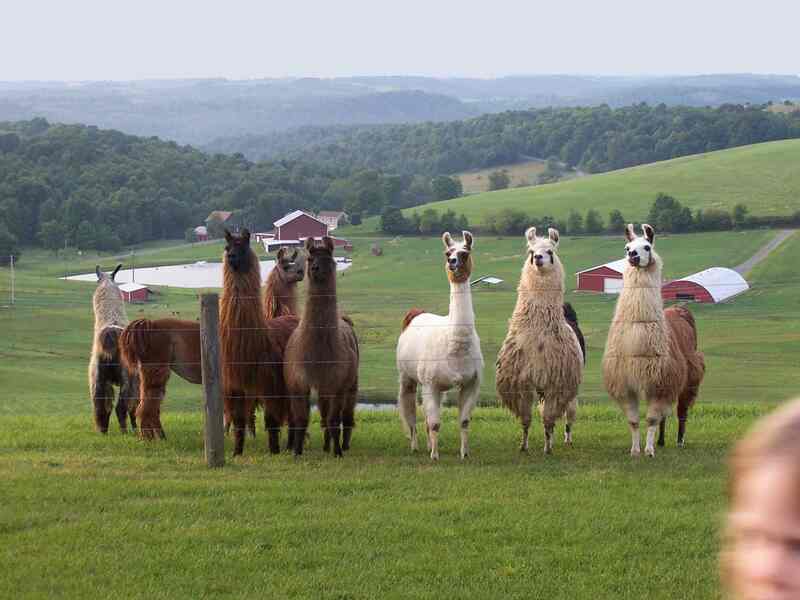 It's absolutely essential that the land on which you plan to keep your llamas is zoned for livestock. 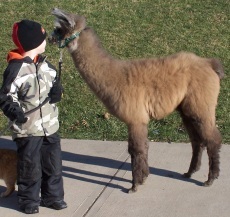 Check your local ordinances; sometimes zoning for horses also includes llamas. Lamas don't like to live alone. They're social animals that like to be part of a herd, and they're happiest in groups or at least in pairs. 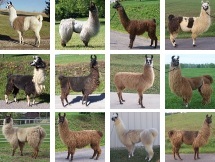 So don't think about owning just one llama - think in terms of owning two or more. 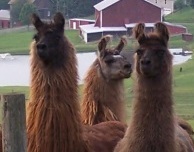 You can generally count on needing at least one acre of land for two to four llamas. You'll also need to provide a shelter for your llamas. They're very adaptable and can thrive in many climates, but if your location is subject to extremes of heat or cold you will need a substantial shelter that stands up to the weather and provides adequate protection. In extreme hot weather fans may be necessary to circulate air in the shelter. When it comes to food, llamas have some specific needs. They have segmented stomachs and they chew cud (partly digested food) much like cows and sheep, so they require good pasturage and high quality hay. Good nutrition is absolutely essential for llamas and they have some specific dietary needs, so be sure to discuss this issue with a knowledgeable breeder. Llama food supplements are available to ensure sufficient amounts of vitamins, minerals, and other crucial nutrients. What do you expect from a llama? One of the keys to happy and successful llama ownership is understanding what llamas are like and having realistic expectations. Llamas are Camelids - members of the camel family - and though they can definitely get along with other animals they really aren't anything like horses, dogs, goats, or any other common domestic animals. They're truly unique. Llamas are gentle, curious, calm, and intelligent. They're often playful and may be mischevious. They're patient, loyal, clean, undemanding, energetic, and easily trained ... but they aren't "house pets" in any sense of the word. If you're looking for a pet to cuddle or bring you your slippers, llamas aren't the right choice. But for the right person in the right circumstances, llamas are wonderful companion animals that can add a wonderful new dimension to life. Can you give your llamas the time and attention they require? Llamas are famously low-maintenance animals, but they do require a certain amount of attention. It's a good idea to have your llamas reside within easy view of your residence so you can keep an eye on them; personal attention is crucial, particularly if you have pregnant females. You need to get to know your llamas so you can easily tell if any are exhibiting strange or distressed behaviors. Llamas are uncomplaining animals and tend to hide sickness and discomfort, so it's up to the owner to know his or her animals and to investigate whenever one seems to be feeling or acting "off". Still have questions? Give us a call or email us . We're always happy to help prospective owners make this important decision. ...• Is a Llama Right For You?